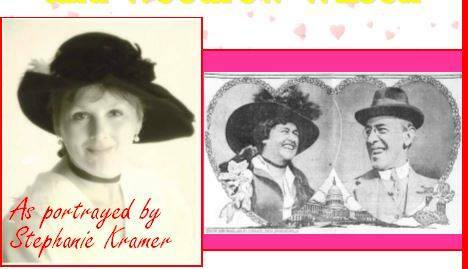 Join the Huron Library on Saturday, February 2 at 2pm to learn about the romance of Woodrow and Edith Wilson. The blissful marriage between widower President Woodrow Wilson and widow Edith Bolling Galt was a partnership that would benefit the country during the Great War. However, when President Wilson was felled by a debilitating stroke, Edith took matters into her own hands. Become enlightened and enchanted for this portrayal of First Lady, Edith Wilson, accompanied by live music from the era. Huron local Stephanie Kramer will be portraying Edith. Tea and refreshments will be served. Registration required and can be accessed here.